SEBASTIAN Vettel didn’t have a good Sunday at the Mexican Grand Prix. The four-time World Champion was locked in an intense battle for the final podium position, clashing with both Red Bull drivers Max Verstappen and Daniel Ricciardo. Vettel was gaining on Verstappen, but Ricciardo was much quicker than the pair and closing rapidly. The German driver was attempting to wrestle third from Verstappen, when the Dutch teenager ran wide at the first turn, but gained roughly a car-lengths advantage. This infuriated the Ferrari driver, who immediately began blowing up on the radio, while Red Bull informed Verstappen he would likely have to readdress the position to Vettel. RED BULL: Okay, give the position, I think you’re going to have the position back Max. RED BULL: Okay, stay there. VETTEL: He has to let me go. He has to let me go. FERRARI: Okay copy. Stay calm. VETTEL: No, it’s not right. I don’t stay calm. Because he’s just blocking me into Ricciardo. When Verstappen refused to hand the position to Vettel, the Ferrari driver really began seeing red, and let loose a swag of profanities over the team radio, which were then broadcast around the world by the FOM. FERRARI: He has been informed he has to move. VETTEL: He’s a ****! That’s what he is. I mean, am I the only one, or are you not seeing what I’m seeing. He’s just backing me off into Ricciardo. ****. RED BULL (TO VERSTAPPEN): Alright mate, this is going to be investigated after the race. So keep your head down. Two laps. VETTEL: What the hell are you talking about! He cut the chicane! VETTEL: And now he’s brake testing me. Not content with just insulting Verstappen, Vettel then put race director Charlie Whiting in the firing line, sending a message via his team of exactly what he thought of the official’s handling of the situation. At the same time as he was ranting over the radio, Vettel blocked an attempted overtake by Ricciardo. 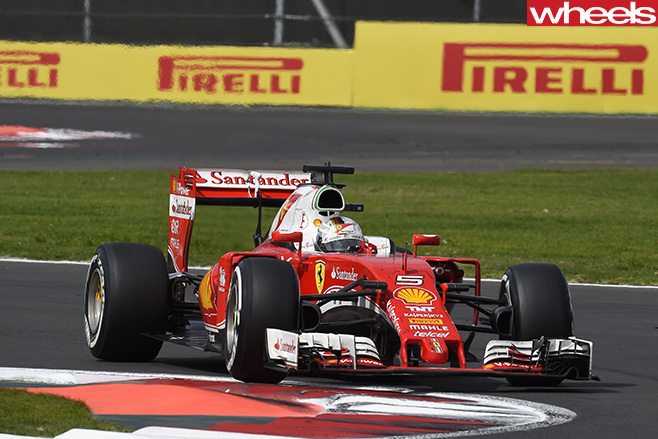 However, the Ferrari driver moved under braking, a tactic which was outlawed from the last race in Texas. It was then that Maurizio Arrivabene, Ferrari Team Principal, chimed in to calm down his infuriated driver. RICCIARDO (ABOUT VETTEL): He moved on braking. I’d already committed. VETTEL: I mean honestly, I’m going to hit someone. I think I have a puncture, rear left. FERRARI: The tyres are fine, tyres are fine. 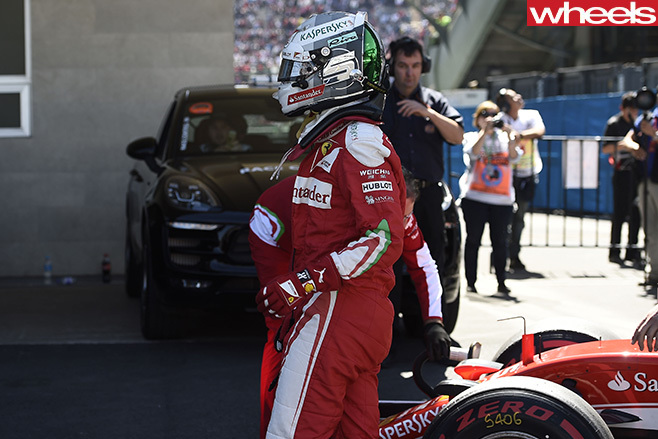 VETTEL: He has to give me the position! End of the story! FERRARI: Charlie said ... that ... Charlie said. MAURIZIO ARRIVABENE: Sebastian! Sebastian! Calm down. They are under investigation. I know that is not fair, but calm down. Put your head down and we talk afterwards. Who said Formula One drivers weren’t passionate? !